Profile of an Artisan ~ Chibi Seimei Inc. 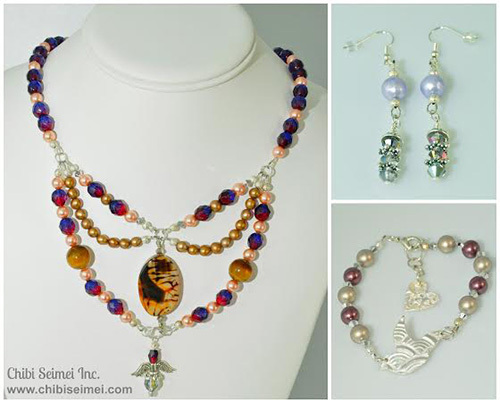 Owner of Chibi Seimei Inc., Kathryn Belzunce, started the business with japanese origami which is a method of folding paper to create folded sculptures, before her original jewellery line. Kathryn continues to use japanese washi which is nature-themed and gives an endless array of design possibilities in the jewellery that she creates. She is strongly inspired by modern art masters such as Chagall, Kandinsky, and most of all, Picasso, and Braque, for their style in fragmentation which influences her industrial Steampunk and whimsical pieces. Kathryn is also inspired by Klimt for his use of gold leafing and geometrics, whose inspiration can be seen in her finishes and accents. Currently enrolled at George Brown College in the continuing education program for the advance jewellery skills certificate, having finished the fundamental jewellery skills program, Kathryn is learning advanced skills and techniques in producing jewellery. She has taken various workshops in precious and base metal clays here in Canada and in the US. from which she has created a line in handcrafted bronze jewellery from Goldie Bronze and metal clay. Kathryn creates her molds from found objects and natural textures. She further refines the pieces before firing them in the kiln. She polishes each and every piece by hand with and seals them with a jewellery grade sealer. 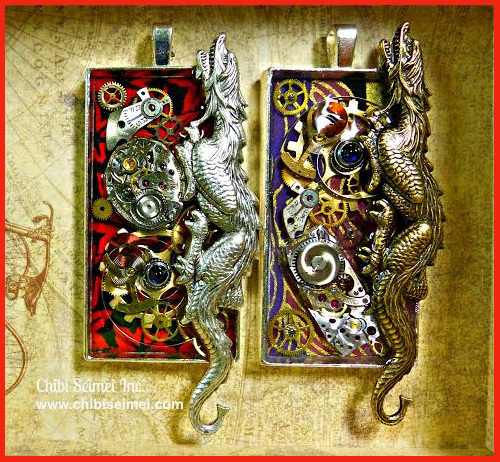 With the mixed-media Steampunk jewellery line, the background is usually a select piece of japanese washi or artisan marble paper, a charm, vintage watch parts and an accent of a cubic zirconia which are sealed with resin.